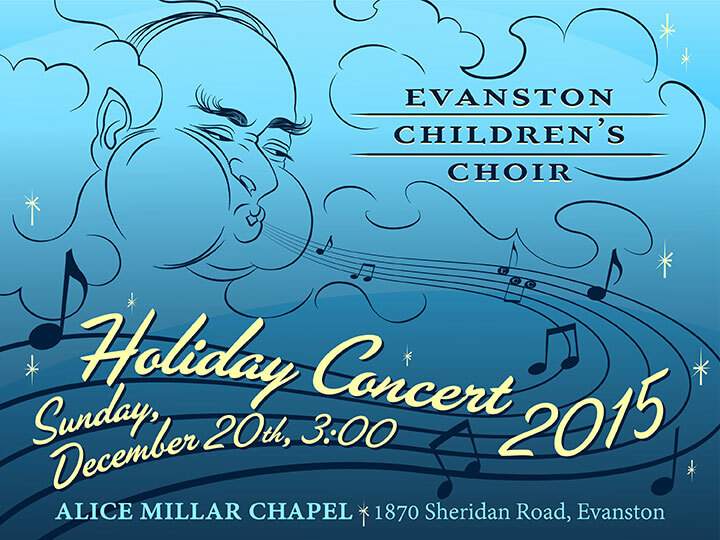 The Evanston Children’s Choir holds its holiday concert celebrating Christmas, Hanukkah and Kwanzaa on Sunday, Dec. 20, at 3 p.m. at Alice Millar Chapel, 1870 Sheridan Road. Directors Gary Geiger, Monica Blacconeri and Bryan Johnson with pianist Ellen Morris will lead the entire choir in the free performance. Voluntary donations are graciously accepted. For more information, please visit evanstonchildrenschoir.org. Limited free parking is available behind the chapel for the less-mobile. Plentiful, inexpensive parking is available nearby at the Church Street Self Park, 525 Church St. This concert made possible, in part, by the City of Evanston Cultural Arts Division.